Master piloting and get drunk on the incredible sensations experienced in flight. Dimension-3 offers you training packages adapted to your level, beginner or experienced. Choose the internship that suits you best! ■ Objectives You combined theory and practice, in order to acquire a good knowledge of the equipment, aerology and basic gestures of piloting. ■ First solo flight First solo flight Over the course, you will progress at your own pace by making small flights on a gentle slope, educational two-seater flights with dual controls, to finally achieve your first solo flight. ■ Supervision Each student is supervised by two qualified instructors with radio assistance, and uses the school’s equipment. ■ Equipment on loan (available). ■ Duration 3 to 4 days. 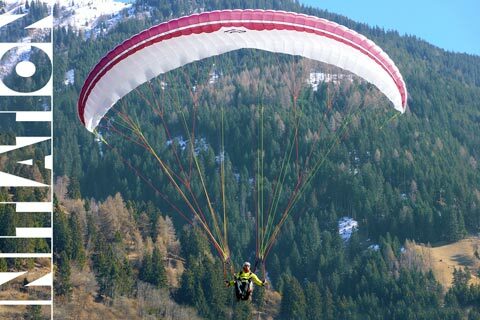 ■ Objectives Following the introductory course, this complete theoretical and practical training will prepare you for the Swiss Federal Certificate as a paragliding pilot. A big step towards autonomy is the work of take-off techniques, approach and landing control. You will discover the exploitation of different air masses, fly in thermals, discover new sites, reinforce your skills and learn how to observe the signs of the air. ■ Federal Certificate This training is in accordance with the programme of the Swiss Federation of Free Flight (FSVL) and recognised by the Federal Office of Civil Aviation (FOCA). The patent is recognized worldwide. The minimum number of flights required to take the practical test is 50 flights. (In order to be able to take the practical test, a number of 50 flights is required). 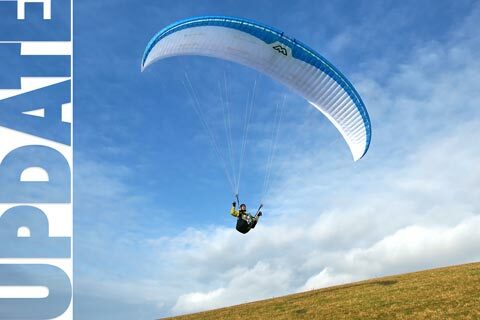 Like many pilots, you have flown less and less for a thousand reasons, but without ever making the decision to stop paragliding. ()Your volatile soul wakes up again, but you hesitate? The simple sight of the other paragliders in flight makes you sigh with nostalgia? Take the step! We will take care of you in peace. We will assist you according to your specific needs: inflation, take-offs, thermal, landings, equipment verification, advice and upgrades. It’s like riding a bike, you can’t forget it! The discovery day is individualized (max. 2 participants). This personalized training allows you to perform your first manoeuvres under the supervision of an instructor. You will discover the equipment, its implementation and the first exercises on a gentle slope. The highlight of the day: a tandem paragliding flight, with pedagogical exercises and dual controls. or contact us to evaluate your needs together. Ask for more information… or book! You have particular constraints. Our formulas are modular and can be adapted to your needs. Progress at your own pace. Students are covered in CAR by our insurance during the training sessions. Dimension-3 is a free flight school approved by the FOCA and the FSVL (Federal Office of Civil Aviation and Swiss Free Flight Federation). 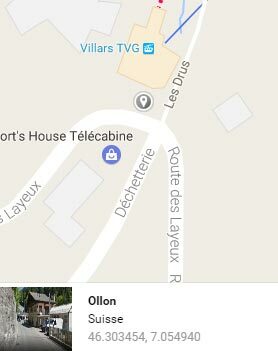 Our privileged sites are located at Villars-sur-Ollon. But other take-off options are available to you, such as Leysin, La Gruyère, and even Sonchaux for a flight on Lake Geneva. We can also take off from Sonchaux to fly on Lake Geneva. 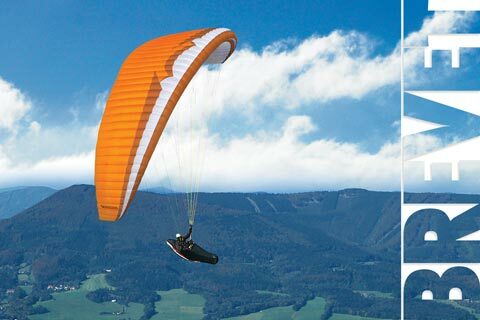 The sites are defined according to the training curriculum, on a school slope, beginner take-offs or large flights. Weather forecasts, wind and breeze strength, orientation and thunderstorm development potential are essential parameters for paragliding. Every day, we determine the most suitable site for the training course of your internship to ensure optimal safety conditions. It is possible to buy your own equipment, new or used, on the first flight or during training.